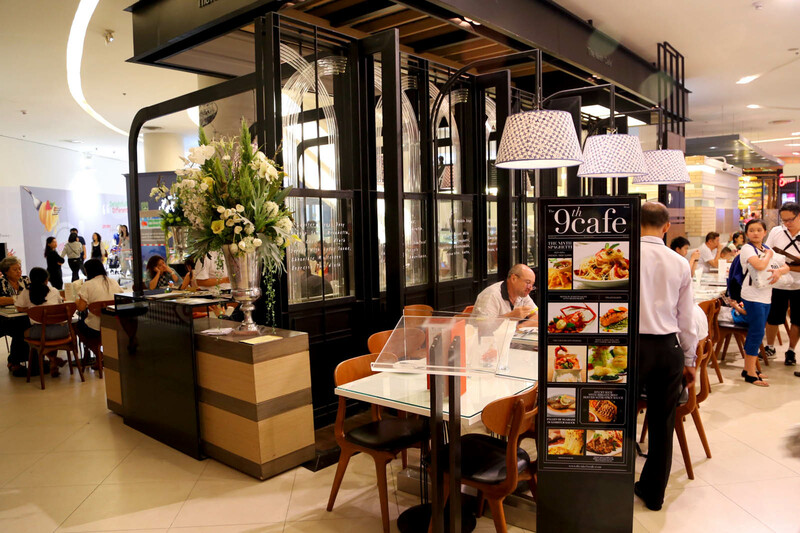 [Bangkok, Thailand] The Ninth Café located at Soi Lansuan, Siam Paragon and Siam Discovery may not be as recognised and trendy as some of the other Thai modern restaurants. But I always loved going back for its consistent food quality, and of course cakes. 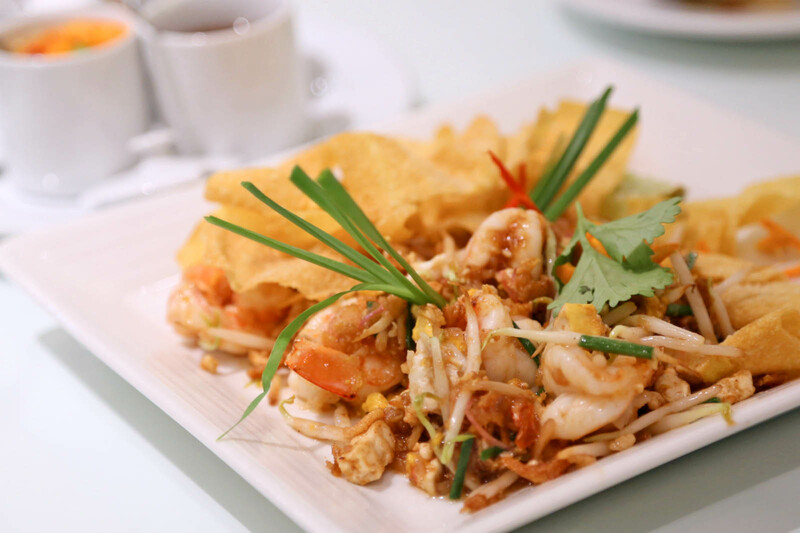 Bangkok has many new restaurants giving varied twists to Thai favourites. Ninth Café is one of them serving a unique combination of fusion Thai, Italian and European dishes. Thus the menu also becomes overly extensive, which reminds me of a Thai version of a cha-chaan-teng, except this is more stylish and contemporary. When lost at what to order, the recommended dishes are Fried Crispy Wontons with Shrimp Phad Thai Style (think low carb Phad Thai), Seafood Spaghetti, Grilled Salmon, Rice with Spicy Braised Spare Ribs & Basil, Penne In Tomato Sauce, and Sticky Rice with Sirloin Beef. You can see how varied the menu is. 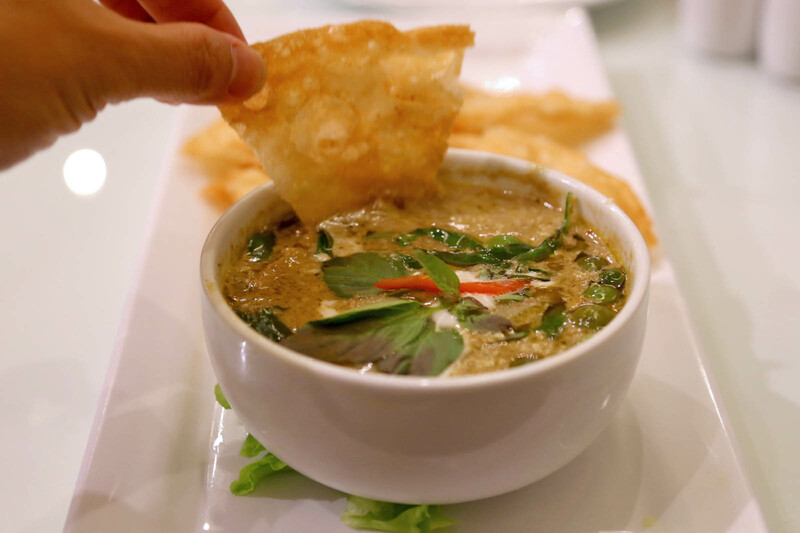 I am a green curry fanatic. One of my favourites is the Thai Green Curry with Roti (160 baht, SGD$6.20, USD$4.97), and Ninth Café’s version is rich, tasty and not overly spicy, with tender chunks of chicken. The best thing is first dip the crisp flat roti (somewhat like our roti prata) into the creamy gravy, and then sweep the sauce away. 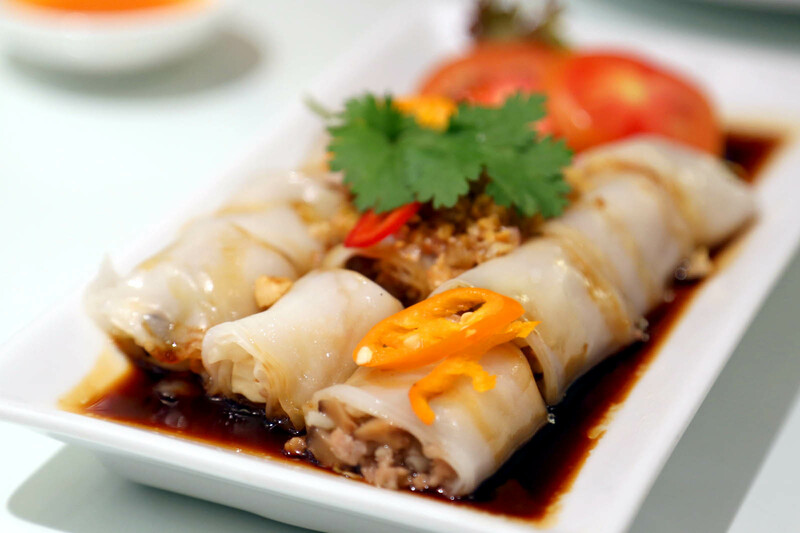 Another favourite appetizer was the Rolled Noodles with Pork and Special Sauce (95 baht, SGD$3.70, USD$2.95), somewhat like Thai-style Chee Cheong Fun. Don’t leave Ninth Café without its cakes. In fact, you can come here just for their cakes. 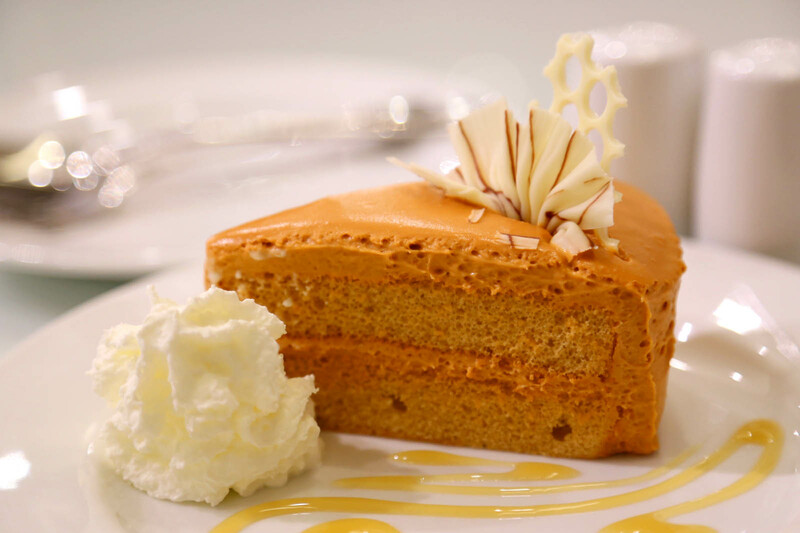 I first made an order of a Thai Tea Cake (95 baht, SGD$3.70, USD$2.95), an elegant choice of a soft and fluffy European style cake but with Thai Ice Tea flavour. 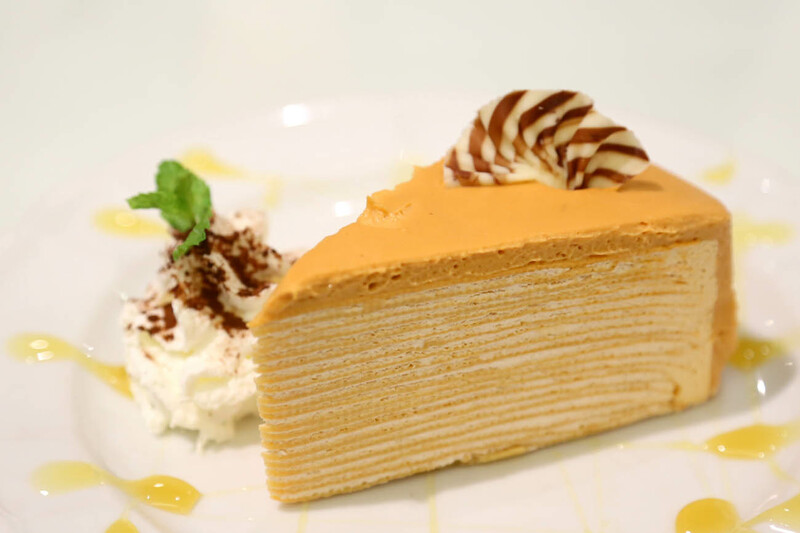 I liked the cake so much that I even went for the Thai Tea Crepe Cake (105 baht, SGD$4.10 USD$3.26) *burp*, somewhat seem to be a more popular choice. In the end, I preferred the version over at Petite Audrey where the layers are more distinct. My Thai friend was surprised I chose this restaurant for a lunch (instead of the more crowded Coffee Bean by Dao), because he mentioned that Thai people prefer enclosed areas rather than sitting out in the open being ‘exposed’. Is it true?